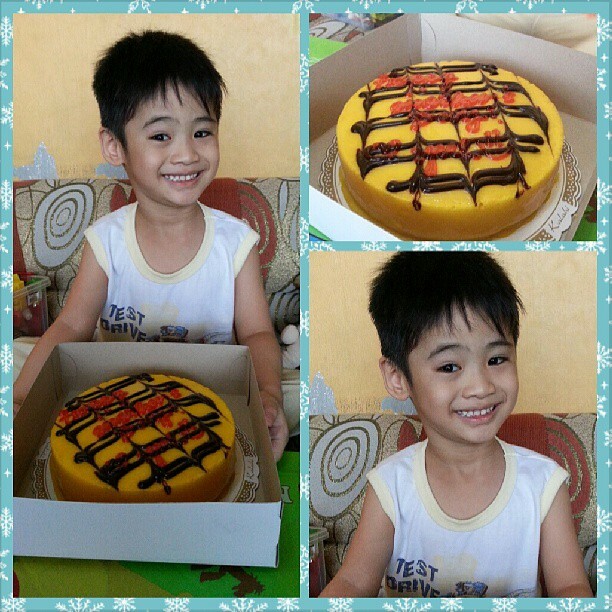 With my favorite cake and my favorite boy. Adorable as always. I love his sweet smile and that cake looks liked it was amazing!! I'm glad you enjoyed your special day. FOr me: Mother's Day was so precious and so peaceful. What a delicious way to spend Mother's Day! What a cutie! The cake looks delicious. My Mother's day was quiet and relaxing :) Hubby took care of everything! It looks like you have a wonderful Mother's Day! The cake looks delicious. WOW that cake looks good! I love the bright colors on it. Your son has a wonderful smile. I'll bet you had a wonderful Mothers' Day with him! Happy belated Mother's Day! He is truly a sweetie pie! I totally agree with everyone else! That cake looks so yum! Now that's what I call a WW pic! Such a cute smile! Belated Happy Mother's Day! Mine was full of fun too!